A Baby Boomer looks at health, finance, retirement, grown-up children and ... how time flies. We've been snowbirding in Charleston, SC, for the month of February. It's not exactly tropical here. Many trees are bare; yet some of the bushes are budding, and a few flowers are poking out of the ground. Today is blustery and in the mid-50s. But it's supposed to get up to 70 for the next couple of days. We've decided that February in Charleston is kind of like April at home in southeastern Pennsylvania, and kind of like May in upstate New York and New England. In other words . . . it's nice! One thing that is very different from home is that we are at the beach, and so it tends to be windy, and we are very aware of the tides. Here's is the view outside the back on our rented townhouse yesterday at low tide. And this is what surprised us this morning, when the tide was high. Quite a difference, right! Charleston is definitely a city on the water, bounded by three rivers -- the Cooper, Ashley and Wando -- that drain into a large harbor and then the Atlantic ocean. So I thought I'd show you how the city looks from the water, as we took a ferry out to Fort Sumter. Here is the city's signature Ravenel bridge leading from downtown to Mount Pleasant and points to the northeast, up to Myrtle Beach and eventually North Carolina. The South Carolina aquarium, opened in 2000, sticks out into the harbor, and boasts the deepest tank (at 42 feet) in North America. We visited one day last week and saw river otters, loggerhead turtles, alligators, sharks and plenty of other aquatic life. Charleston is also a port. These two transports carry BMWs which are manufactured outside of Greenville, SC, then brought by train to Charleston for shipment around the Western Hemisphere. Charleston is also home to the Yorktown aircraft carrier, which was built during World War II and saw service in the Pacific. It was later used during the Vietnam war, and served as a recovery ship for the Apollo 8 space mission. It was decommissioned in 1970 and has been a museum in Charleston since 1975. So we took the cruise boat out to Fort Sumter, where the first shots of the Civil War were fired. We first passed Castle Pinckney, a fort built in the early 1800s that briefly held Union prisoners of war during the Civil War. It is now owned by the Sons of Confederate Veterans, and that's a Confederate flag that flies over the fort . . . but efforts to restore the fort by both the state and the Sons of Confederate Veterans have been resisted by the currents and the tides of Charleston harbor. I must confess that I did not get a decent photo of Fort Sumter. Suffice it to say that it looks kind of like Castle Pinckey -- only bigger. Sumter was occupied by Federal troops in December 1860, taken over by the Confederates in April 1861 and then was bombarded mostly to ruins by Federal canons for two years. This is one if the canons that helped the Confederates withstand the attacks, and keep Charleston harbor open to the South for most of the Civil War. Wandering around the grounds of Fort Sumter, I looked up and saw a container ship coming right at us! Fortunately, it turned and kept to the channel, and we boarded our boat and returned safely to downtown Charleston. When we rounded the Yorktown we got a closeup view of its bow. And then I saw the container ship headed safely to its docking. So today, at least, all is right with the world. B grew up living rough. Well, not exactly. She grew up in a suburb in Long Island, NY. But she spent summers on her grandmother's Pennsylvania farm, with no hot water and an outdoor toilet. She spent a lot of time playing in the grass, rummaging around dusty barns, running barefoot in the fields. Now, as an adult, she firmly believes that children should play outside and eat a little dirt. It's good for them, she says. It helps their immune system, protects them against allergies and asthma. I ate a little dirt when I was a kid. And I never experienced any allergies . . . until a little over three years ago I became allergic to shrimp. I'd been eating shrimp all my life. But over Christmas 2015 we went to a party, and while B was chatting with a friend I was scarfing up the shrimp cocktail. Suddenly I broke out in a rash and felt hot all over. I ducked into the bathroom, pulled off my shirt and saw huge red blotches all over my chest. Fortunately, there was a nurse at the party, and she recognized that I had developed an allergic reaction to the shrimp. The host had some Benadryl, which I took, and I was better about ten minutes later. I tried shrimp once again, about a year later, and the same thing happened. Diagnosis confirmed: I am allergic to shrimp. I do not know what caused my sudden allergy to shrimp, but I have heard that as people get older they can develop allergies they've never had before. But according to Rob Dunn in his book Never Home Alone, allergies are becoming a lot more common -- allergies to peanuts, dust mites, animal dander, shellfish, and a lot of other things. And he attributes our greater susceptibility to allergies to our ever-increasing indoor, air conditioned, antiseptic living. In other words, he agrees with B. We are not exposed to the wide range of biodiversity that our parents and grandparents were, and therefore we have not developed immunity to a lot of irritants. Furthermore, Dunn blames the increase in autoimmune diseases, such as asthma, Parkinson's, Crohn's disease, inflammatory bowel disease and more to the same issue -- not having enough biodiversity in our lives. What's happened is that we have moved indoors, sealed off the windows and turned on the heat in winter and the air conditioning in summer. We've created an indoor atmosphere perfectly suited to many indoor bugs. And then we use disinfectants that kill off 90% of the bugs, including the good ones, leaving only the very strongest ones -- which are often the most aggressive and most problematic -- to populate our basements, beds and kitchen counters. Another problem is that many bugs have evolved to outsmart our disinfectants. For example, the German cockroach used to be killed with roach bait consisting of glucose to attract the cockroach and a pesticide to kill it. But a few roaches just didn't like the glucose so they avoided the bait. Those were the ones who survived, producing more roaches that were not attracted to the bait. After a few generations -- meaning a few weeks -- the German cockroaches evolved to lose their taste for glucose. The result: the traps didn't work. Other pests have evolved their own survival techniques, and so resistance to pesticides and other deterrents has evolved among many of the nastier bugs, including head lice, bed bugs, flies and mosquitoes. And some deadly diseases like tuberculosis have started to become resistant to antibiotics. So what does Dunn recommend for us on a practical basis? Leave the windows open more often, and avoid turning on the heat and a/c for as long as we can. Wash the dishes by hand instead of the using the dishwasher which typically harbors fungus. If water gets in the house, get it out as soon as possible because it breeds mold and mildew. Plant a garden. Buy more fresh food from local farmers. Bake bread. If you have children, or grandchildren, get a cat. A dog is even better . . . unless there are siblings around in which case they bring in enough of their own dirt from outside. Don't use bug sprays or disinfectants. But wash your hands -- washing hands gets rid of the bad dirt you just picked up in the bathroom or from the dirty doorknob at the doctor's office, but it does not wash off the good bacteria that is a part of your natural ecosystem. 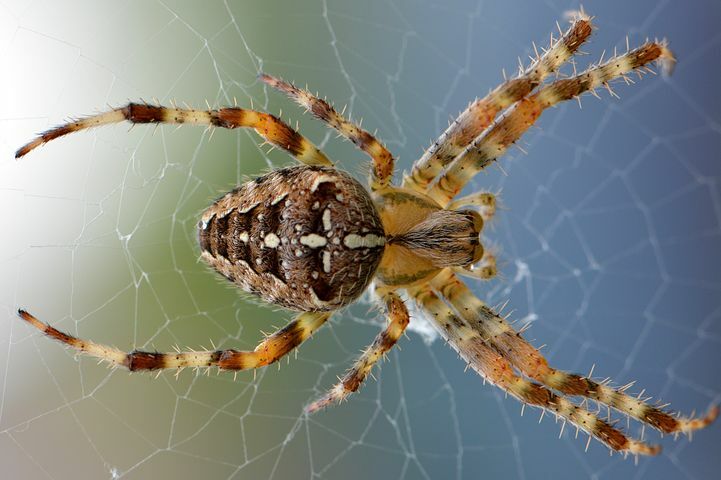 If you have spiders or silverfish in the garage or basement, leave them alone -- they will kill off the bad bugs and most likely will not bite you or cause any harm. As for me, I'm guessing my problem is that I didn't spend enough time at the beach when I was a kid -- so I didn't pick up enough exposure to all the sea life that would protect me from becoming allergic to shrimp. Perhaps it's too late. But I'm willing to give it a try. I will spend more time relaxing at the beach now that I'm retired. You know, doctor's orders. Will This Diet Save Your MIND? We went to the Charleston Crab House for dinner last night with some friends. I had a side salad (more on that later) and a dish with scallops and mahi mahi. B had grilled shrimp. There's something about being on the beach that makes you want to eat seafood. Honestly, my initial exposure to seafood was not a good one. I grew up Catholic, and back then Catholics were not allowed to eat meat on Fridays. My mother was never particularly interested in cooking, so in our family we had fishsticks or some other kind of breaded fish from the freezer. My father was not Catholic, so while he usually ate fish on Fridays along with the rest of the family, sometimes my mother served him a hamburger instead. When we kids complained about that, he'd tell us that fish was good for us. It was brain food. And he wanted us to grow up to be smart and successful. How smart we all became is up for debate. But whatever intellectual failings we suffered, it wasn’t for lack of fish. And now, despite my troubled introduction to seafood, I like fish . . . especially when I'm at the beach. Besides, I read recently in the Tufts University "Health & Nutrition Letter" that my dad was right. At least in certain circumstances, seafood is indeed brain food. Researchers from Tufts University, in a nine-year study of close to 500 older adults, found that those consuming the most fish – three servings a week – were at significantly lower risk of developing dementia and Alzheimer’s disease. One concern about fish is the levels of mercury in seafood. Researchers did find that those who consumed a lot of fish had higher levels of mercury in their brains. But there was no evidence that higher mercury levels had any negative effects on older people. 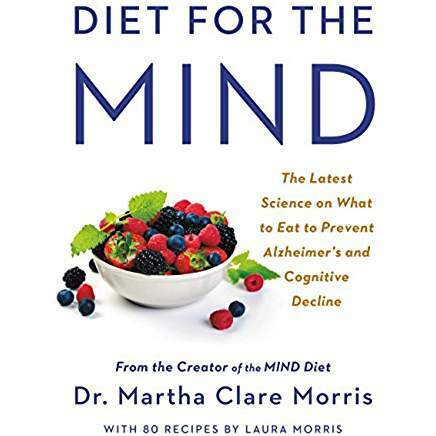 The MIND Diet is designed to reduce the risk of dementia, as well as heart disease and diabetes. The diet recommends consuming lots of fish and poultry. It also says (here's where the side salad comes in) that we should eat leafy green vegetables like salads, and other vegetables, as well as whole grains, berries, beans, and an occasional glass of wine. Meanwhile, it cautions us to avoid butter, cheese, red meat, fried foods and sweets. 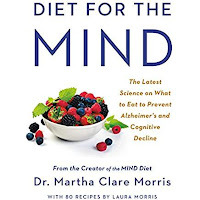 The claim is that this diet can lower our risk of Alzheimer's by 50 percent if we follow it strictly, and by a third even if we only follow it (ahem) half-heartedly. Pregnant and breastfeeding women and young children are still advised to limit their consumption of fish high in mercury – especially tilefish, shark, swordfish, mackerel and white (albacore) tuna. But for older adults the benefits of seafood far outweigh the risks from mercury. And as the MIND Diet suggests, the benefits are not limited to the brain. The American Heart Association advises consuming at least two meals a week with seafood. However, it seems that supplements of fish oil or omega-3s do not necessarily offer the same benefits. One five-year trial of more than 3000 participants reported no benefits from omega-3 supplements. Apparently the process of how fish benefits our brains and our bodies is more complicated than just delivering a dose of omega-3s. So eat up your fish, with some vegetables and maybe a glass of wine. I don't recommend the fishsticks. But the scallops and mahi mahi are fine. I admit to being a Snowbird -- two weeks in Florida and a month in South Carolina. Why? Because it's cold up north. And we have children and grandchildren here. The other day I got up to watch the sun rise over the Atlantic ocean, at 7:09 a.m.
A few other people were out and about as well. Here's the view from our airbnb, overlooking the wetlands, when I got back home and had breakfast on the deck. We are staying in a beach town outside of Charleston. Pretty much every day it's chilly in the morning, but the temperatures typically hit 70 degrees by mid-afternoon, and the snows are far away. It's a funky little place where beach-side bungalows . . .
. . . sit next to million-dollar mansions. We stopped for lunch at a local fish place. Later, the wind started to kick up, and we went out to the pier. But the breeze didn't seem to bother this beach-dweller. Later in the afternoon we started back home . . .
We stopped off at the west end of our barrier island to witness the end of the day . . . I marked the time of sunset at 5:58 p.m. A nice day at the beach. Tomorrow we'll do it again.. I was visiting my sister in Jacksonville, FL, who is a self-proclaimed cheapskate. Maybe for that reason the topic of saving money came up . . .
. . . because for many people, retired or not, the prospect of life without a paycheck is scary. Then the financial experts stoke our anxiety by saying we need a lot of money, as much as $1 million, or 20 times our old annual salary, saved up to provide a comfortable retirement. The financial experts are right, in principle. We do need a lot of money to retire -- in the form of Social Security, plus pensions and 401K plans and IRA balances, as well the value of the help we get from family and friends. But my sister and I decided maybe we don't need quite as much as the experts would have us believe. Why? Because after we retire, our expenses go down. And there are plenty of pain-free ways to push them even lower. Here are some that we came up with, maybe you have others. Commuting costs. We no longer have to buy a commutation ticket for the train, or pay bus fare or parking fees. If you drive 20 miles to work every day, you'll save almost 10,000 miles a year, which at the IRS mileage allowance of 54.5 cents a mile, equals more than $5,000 a year! Lose a car. If you're no longer commuting, maybe you can sell off one of your two or three cars, because you don't really need it anymore. In my sister's case, she and her husband still have two cars; but her husband sold his motorcycle when they retired. Move. My sister is retired in Jacksonville, where the cost of living is already low. But you don't have to relocate to Florida or Arizona to save money. I moved from New York to Pennsylvania, some 120 miles away, and now save almost $10,000 a year on my real-estate tax alone. Sometimes moving 20 miles farther out from your business hub can save a huge amount of money in housing and other living costs. No more kids. My sister doesn't have any kids, but I have two of them and I know that you spend a lot less after your kids have finished school and moved out on their own. 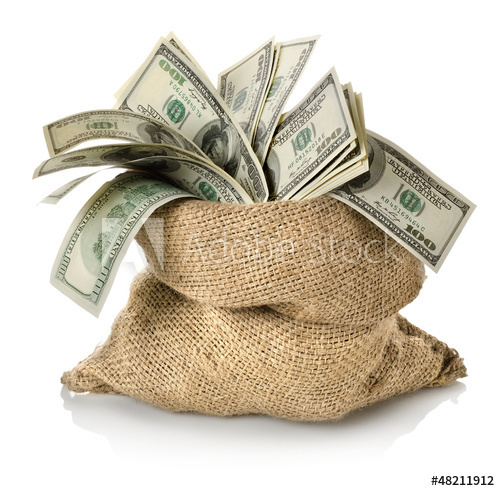 No more college tuition; no more sports equipment and sports club fees. Now they buy their own clothes . . . and you can't believe how much you save on your grocery bill! Travel. Of course, you can always spend boat loads of money if you go first class to all the hot spots. But the beauty of retirement is that you can travel mid-week, when air fares are cheaper; you can go during the shoulder season, when rates are lower. And . . . you can go visit your sister who will put you up for free! Save on saving. We're retired, so we no longer have to save for retirement. In my case, the kids are through college so I don't have to save for their college tuition. Since we no longer get a paycheck, we're no longer subject to the payroll tax. Instead, we are now, finally, on the receiving end of Social Security and Medicare! Also, check out . . .
Are You a Baby Boomer? Quiz: Do You Know Your Baby Boomer TV Shows? If You're Retired, Do You Have to Travel? Does Cold Weather Help You Live Longer? What is an ordinary life? Do you have a number in mind? Is There Ever A Wrong Time To Start a Vision Board? Buzzwords Abound – What does Self-Care mean to you?